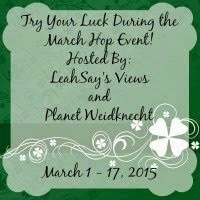 March is your time to get lucky! After you read my review below and enter the giveaway, hop around to enter at the other blogs for some great prizes. Rain Africa creates handmade bath and body products using ingredients with African origins. Natural, and organic products harvested sustainably. No animal testing or child labor! The products are free of parabens, petroleum, mineral oil, and paraffin. "We are the only Southern African beauty and body product company which is accredited by both Fair Trade in Africa and the international Fair Trade body in Europe." 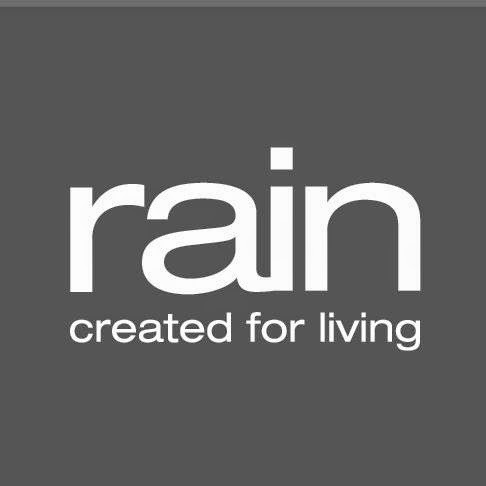 With over a dozen collections, Rain Africa has something for everyone. Rain Baby line includes this pure 100% natural Baby and Mom Butter which has been amazing for both of us this winter. Having a winter baby has created dry skin for her and I only want to use natural products to help hydrate her precious skin. Rain Baby is an excellent company that only uses natural and organic ingredients. The butter is smooth, and not greasy. It has a very mild scent, unlike some overpowering baby lotions. A must for all new moms! I want to invest in my baby's skin just like I would my own and the Rain Baby products are a must for health. Biologie is a multi tasking range that helps protect the skin and hair. Biologie 100% Natural Shower Gel is made with coconut oil for moisturizing. It has extract of spearmint, rosemary, and rooibos along with baobab pulp. The gel goes on smoothly, and smells wonderful! It doesn't leave a lingering smell to interfere with lotions and creams. 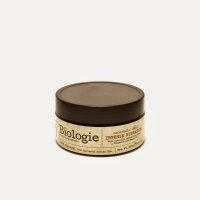 Enter to win 2 products from the Biologie line. The shower gel pictured above and the Coconut Shea Intense Hydration. The Kalahari melon and Honeybush salt scrub sounds nice. I would like to try the Body Cream Aloe. My Winter skin needs help. Wild Cotton Cream sounds really interesting. I love trying new products! I'd like to try the Body Cream Aloe. I like the Mungo Huck Towels. I am interested in the bee essentials gift jar. I would like to try the Body Cream Aloe. It really looks like it would be great. I would love to try the Body Cream Savannah or the Bee Butter. The Box Herbal Bath Rocks would be nice to try. Thank you! I'd like to try the Natural Shower Gel. I would be interested in trying the Coneshell pumice stone. The bath and body deli looks really luxurious. I would love to try all of these. I would like to try the Earth Eggs Set 6 bath bombs. I would like to try the BATH SALTS - LAVENDER. They have some really beautiful looking bath salts. I'd like to try the angel dust or the lavender kind. I would like the Bee Essentials herbal healing balm. The box of herbal and many others that I like. I'd love to try the Cappucino Fizz Balls. I'd like the Oil Burner - Tall White. I want to try the cappuccino fizz bath balls. I would love to try the Reed Diffuser Perfume Saffron Tangerine. I love tangerine! It's invigorating. I'd like to try the COCONUT AND SHEA INTENSE HYDRATION. I would like to try the aloe and avocado collection, especiall the bath salts in a bag. I would like to have the Gift Box Bottle Aloe and Avocado. I would keep for myself! I would love to try out the Mungo huck bath towel in the blue design. I would love to try the antioxidant olive oil soap. Love all the Aloe & Avocado products. I would love to try some of the Earth Eggs. I would like to try the Wild Cotton body lotion. I would love to try the Aloe & Avocado Body Butter. I'd love to try the Wild Cotton collection but they all look wonderful. I would love to try the ALOE & AVOCADO BODY BUTTER! It sounds like just what I need for my skin after this harsh winter we have been having! I would like to try the Foot Soak. I would love to try the Coconut and Shea Intense Hydration Body Butter! Thanks for the awesome giveaway! I would love to have a set of the Mungo Huck Bath Towels. I would like to try the angel dust bath salts.